All of the food produced on our farm is certified organic, starting from seed grown in our greenhouses, transplanted to our fields and then harvested especially for your family’s dining pleasure. We are committed to growing the freshest, most vibrant, nutritionally dense food possible for our customers. By growing our food with certified organic methods, you know that your food is being produced in the most environmentally friendly conditions. 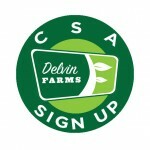 The benefits of participating in a CSA are many. As a member you will not only enjoy all of the food but you will also know exactly where your food is grown and who grows it. All of our produce is organically grown, which means no pesticides and no herbicides. In a time of increasingly industrialized food production and the environmental problems that accompany it, won’t it be good to know where your food is coming from? All of the certified organic produce that goes into your box is grown right here on our farm in College Grove, TN. During the course of a season we raise over 50 varieties of vegetables that will go into our CSA box. Each box will have from 6 to 12 varieties of farm fresh, “picked at peak of harvest” vegetables. Our season will start out with kales, collards, brocolli, cabbage, onions, strawberries, lettuces and other cool season greens. Summer brings us into the tomatoes, peppers, corn, melons, cantaloupe, blackberries, potatoes, squashes, cucumbers, beans and eggplants. Fall will wrap up the season with member favorites like sweet potatoes, butternut, acorn squash, pumpkins, arugula, tatsoi, kales, and other greens. Our CSA is sold in two sizes; full and half shares. 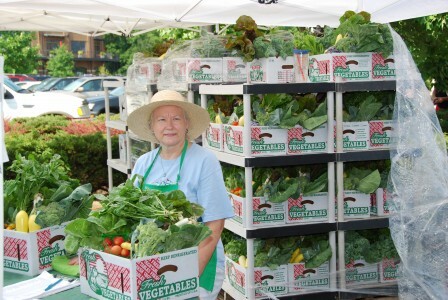 Each size consists of an overfilled 1/2 bushel box of our organic produce. The full share is delivered every week from end of May through October for a total of 24 pickups. The half share is delivered every other week from May through October for a total of 12 pickups. The winter CSA program consists of four pickups; two in November and two in December. The share is a 1/2 bushel box jam packed with the best of late summer and cool season crops; all certified organic from our farm. Crops that we grow on our farm during this time include sweet potatoes, Japanese sweet potatoes (purple), green kale, red kale, lacinato kale, collards, cabbage, red cabbage, tatsoi, turnip greens, turnips, various types of lettuce. Also, some of our best selling veggies we have planted to include in our winter CSA are brussel sprouts, carrots, brocolli, and cauliflower.